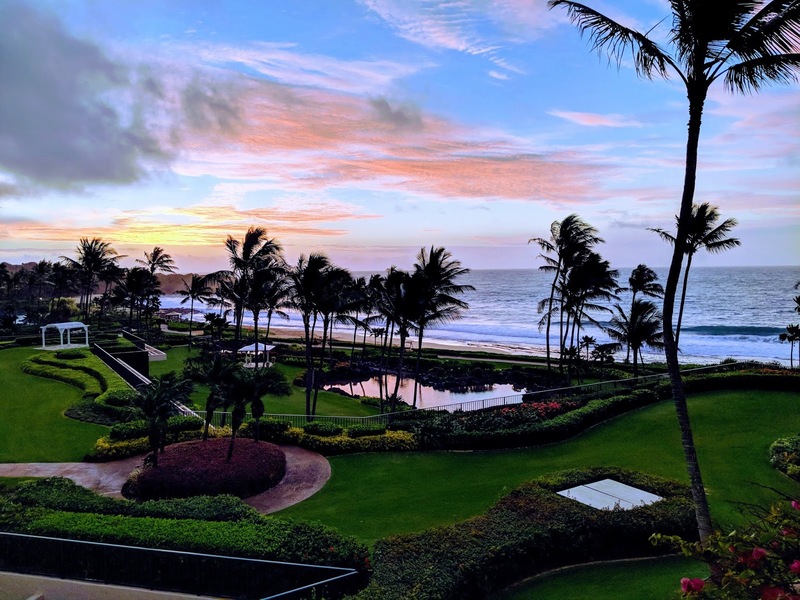 The sprawling oceanfront Grand Hyatt Resort located in sunny Poipu on the island of Kauai is perfect for families and couples alike, offering something for everyone! From the resort amenities, dining options and breathtaking lagoons and pool area, the Grand Hyatt Kauai appeals to every type of traveler. 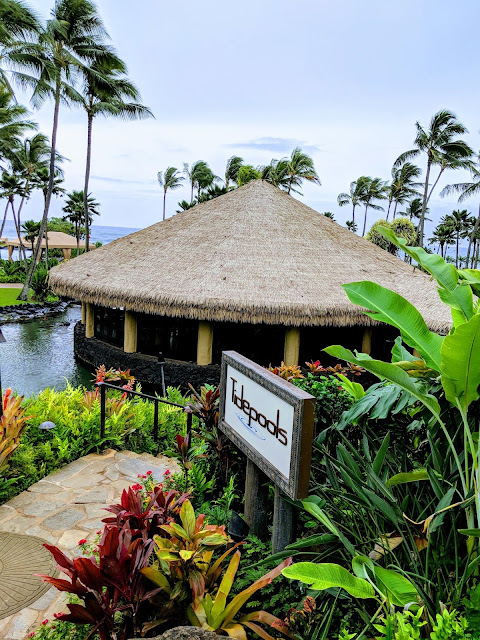 We stayed here earlier in the year and can't wait to go back! 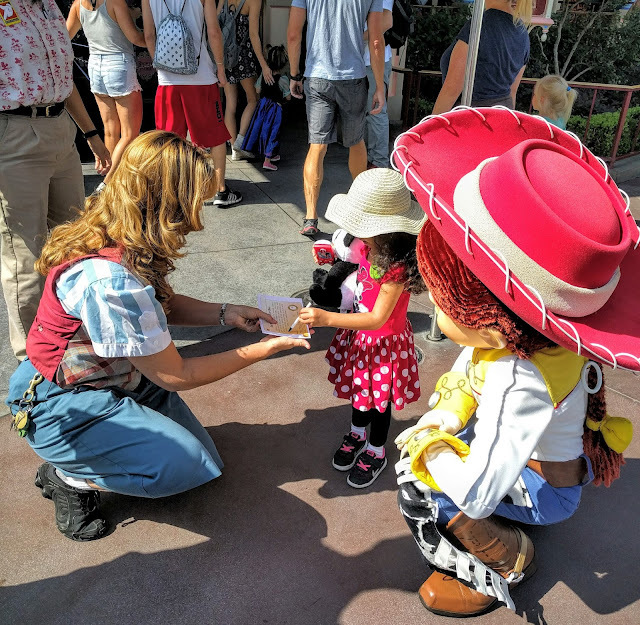 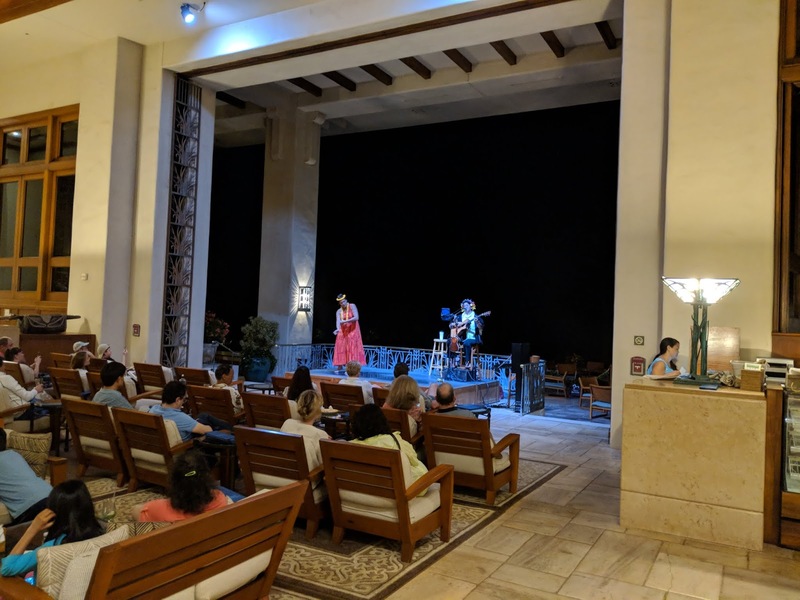 Read more for what you need to know for your trip and special offers available for Virtuoso guests. 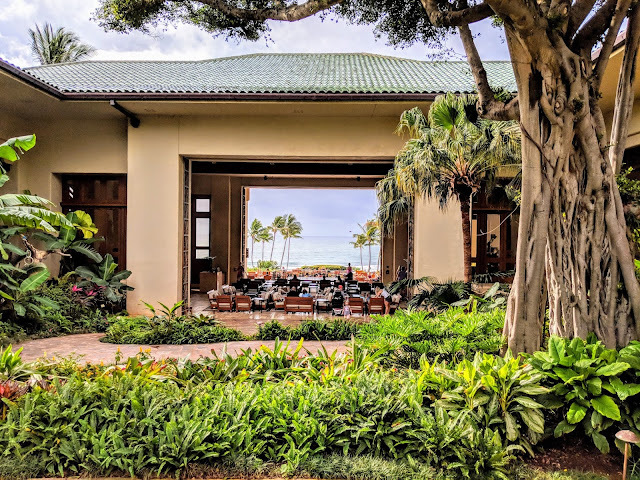 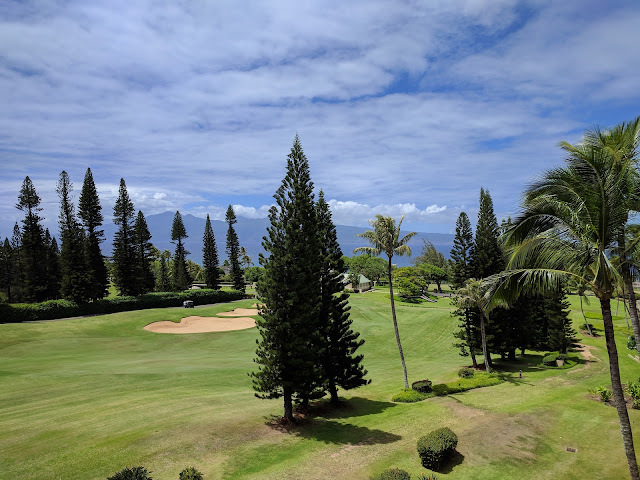 The approach to the Grand Hyatt Kauai is all it takes to see why the hotel is a part of the Grand Hyatt brand, as the palm lined drive leads guests into a huge porte-cochere, where you'll be welcomed with a classic Hawaiian greeting of leis and glasses of lemonade. The entrance to the lobby leads to a picturesque inspiring view of the ocean. 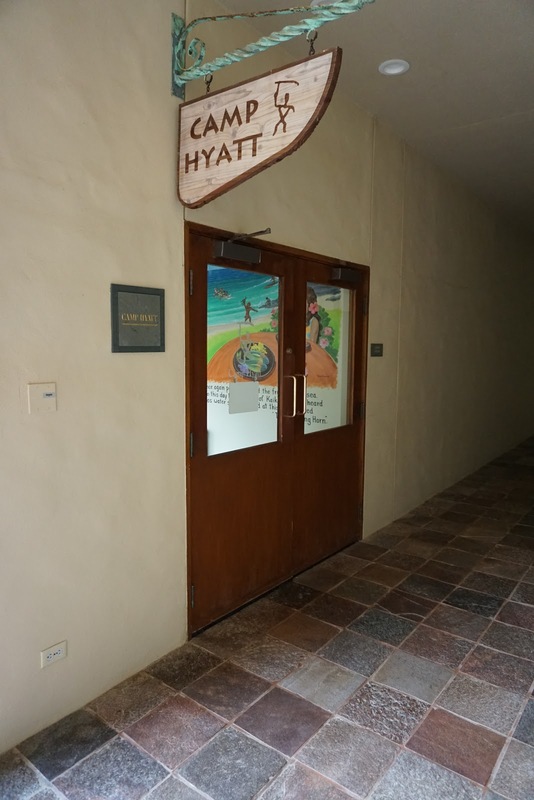  One thing to note is that the resort is massive, with 604 classic Hawaiian inspired guestrooms. 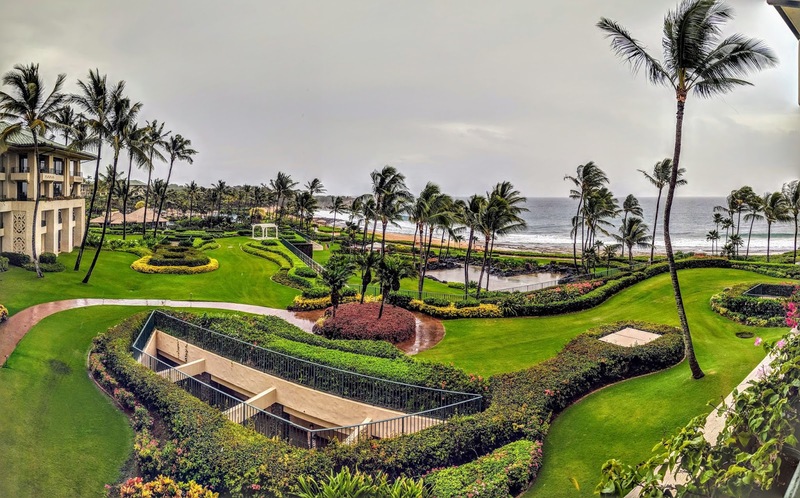 The resort grounds are immaculately groomed and offer stunning backdrops for great photos. 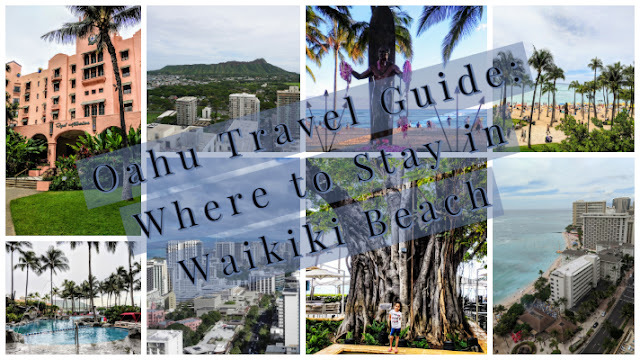 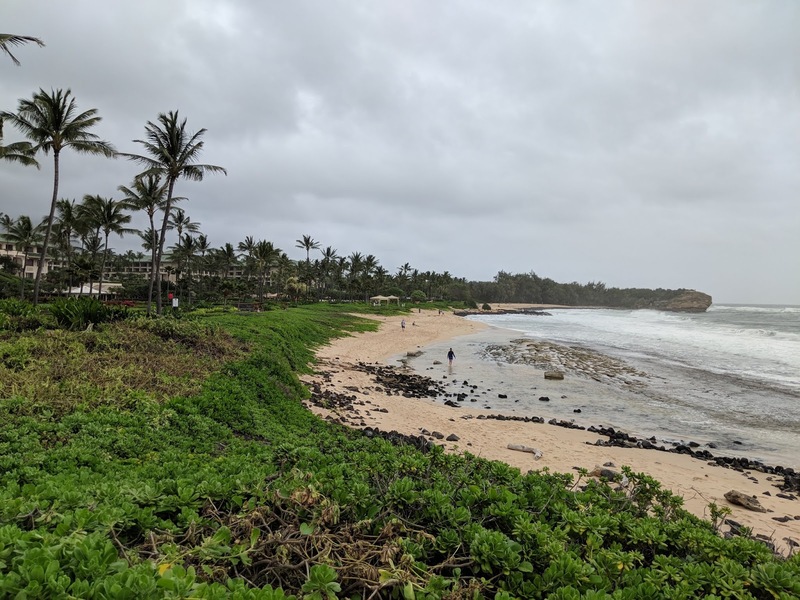 The beach directly in front of the resort is a bit rocky and has rough surf, so it's not recommended for swimming, however, Poipu Beach is only a short drive away (or short walk away). 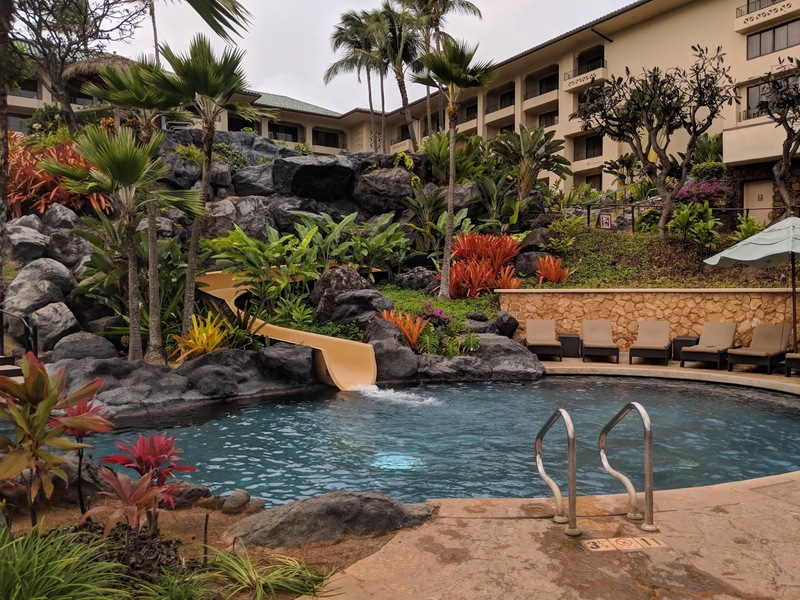 The Grand Hyatt has three large pools, including a lazy river with a waterslide, a large activities pool with basketball and volleyball nets, and a peaceful adult-only pool with private cabanas. There's also a man-made saltwater lagoon. 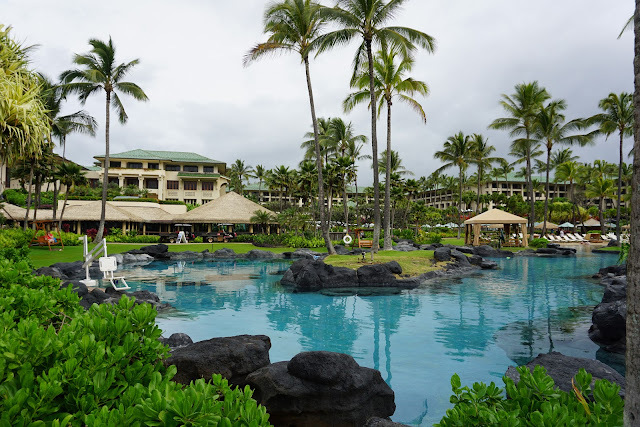 With nearly 2 acres of pool facilities at the resort, there is still plenty of room for space and relaxation. 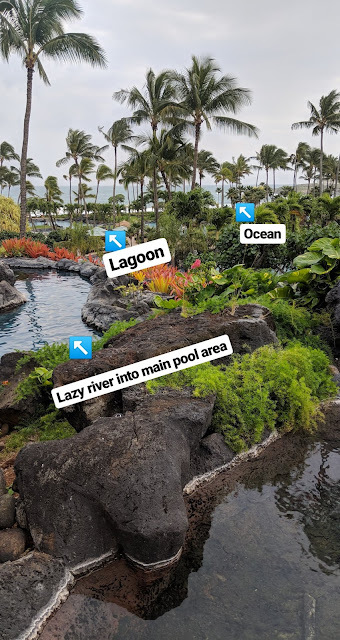 Kids will love the lazy river and the 150-foot waterslide. 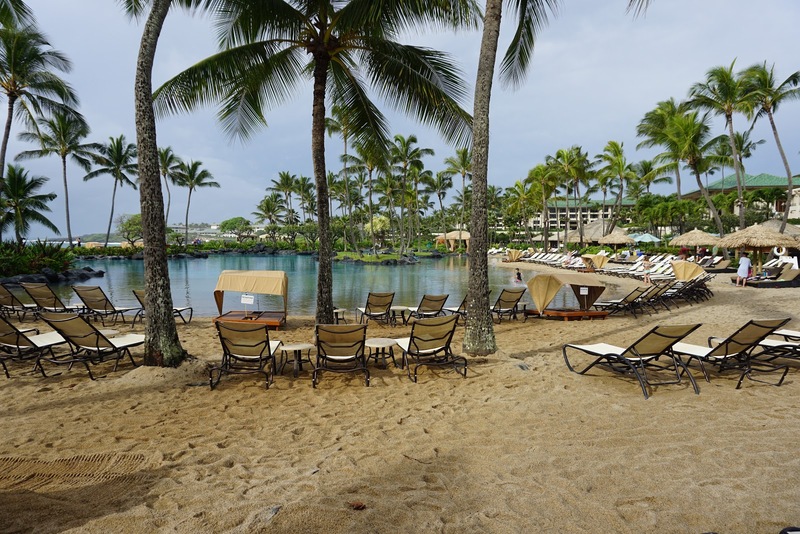 The saltwater lagoon pool has a sandy bottom and is large enough to kayak in. The pools are open 24 hours and an adults-only pool is available next to Captain's Bar on the upper level of the pool area. The spa offers massages, body treatments, and facials in one of 11 private rooms or hales (outdoor bungalows). 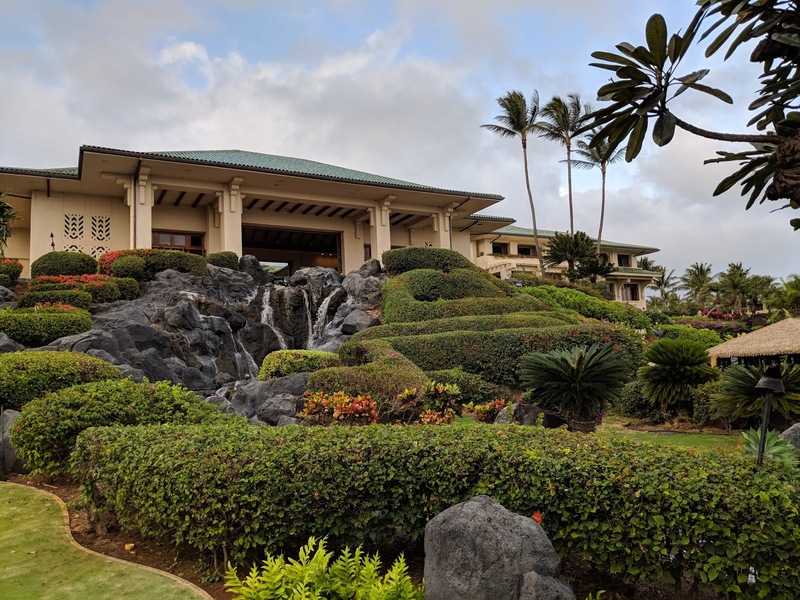 The sprawling 45,000-square-foot Anara Spa is the largest spa on the island. 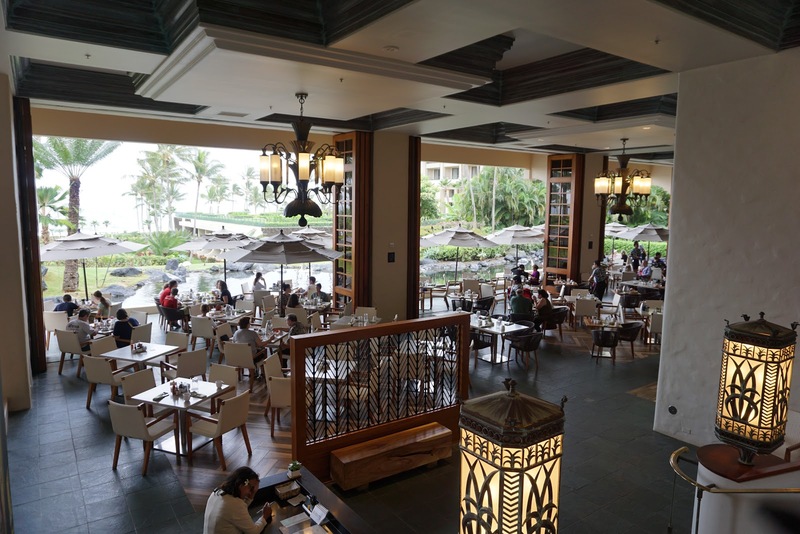 There are seven on-site restaurants, offering something for every palate. 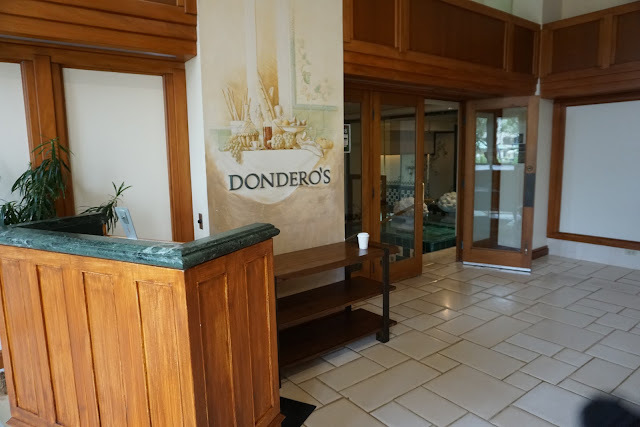 Dondero, the on-site Italian restaurant, serves pasta, pizza and traditional Italian entrees. Ilima Terrace is an open-air cafe overlooking the gardens and ocean. The signature restaurant, Tidepools, offers Hawaiian cuisine in a unique setting of thatched-roof bungalows floating over a koi-filled lagoon. 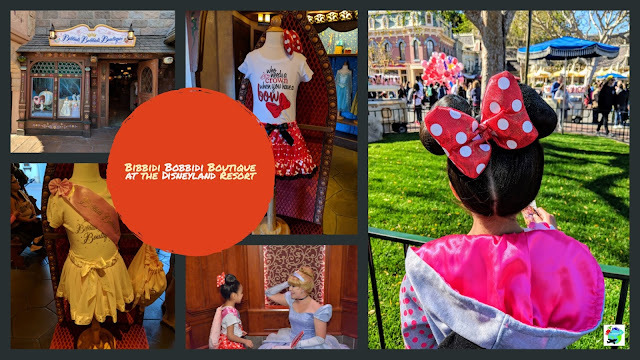 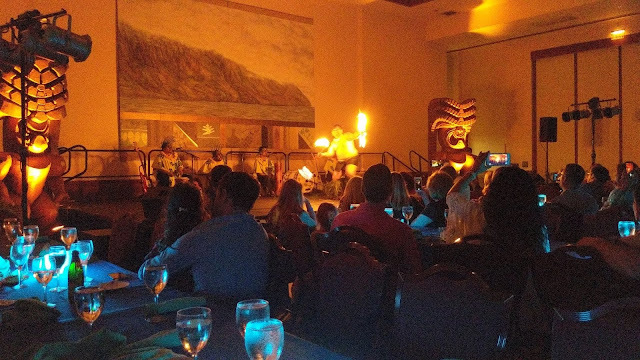 There is also a traditional luau held every Sunday and Wednesday and features a nice buffet spread and entertainment giving guests a taste of Polynesia. 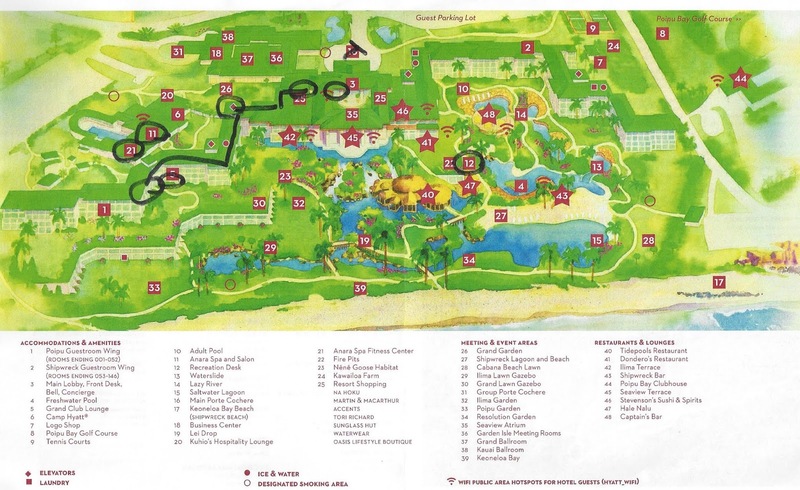 Note that if it is raining (or in the forecast), the luau will be moved indoors. 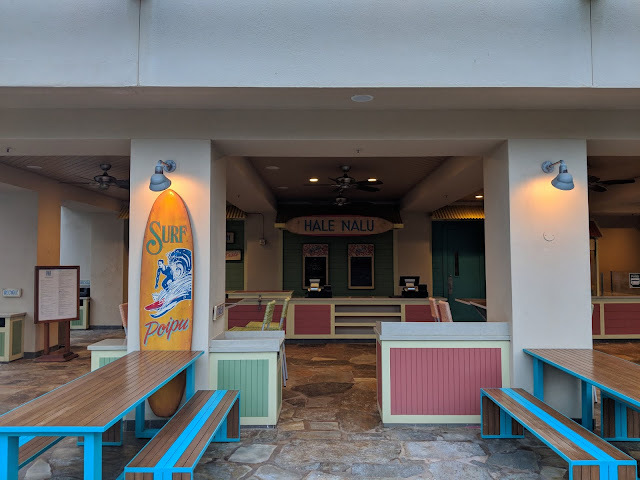 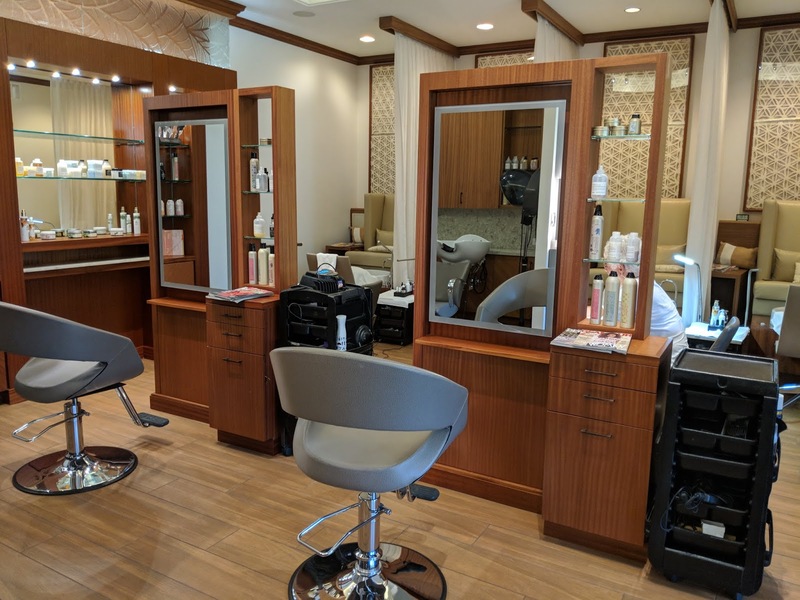 Other dining options include Hale Nau for poolside snacks and drinks, as well as Captain's Bar near the Adult pool area. 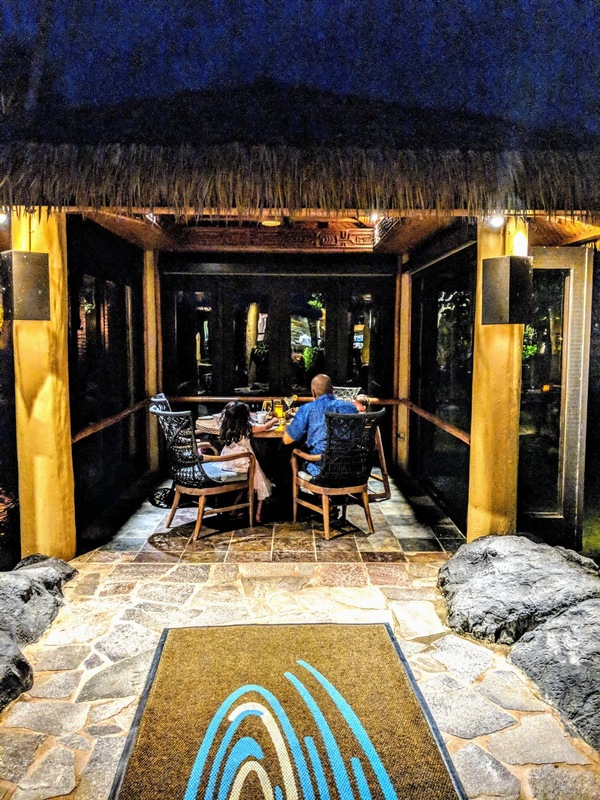 Stevenson's Sushi and Spirits boasts an extensive collection of drinks and offers great sushi. 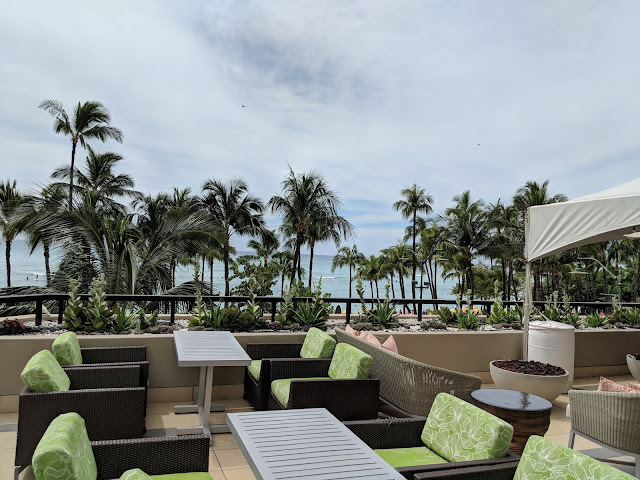 And lastly, the Seaview Terrace is great for enjoying views of Keoneloa Bay and taking in local entertainment in the evenings. 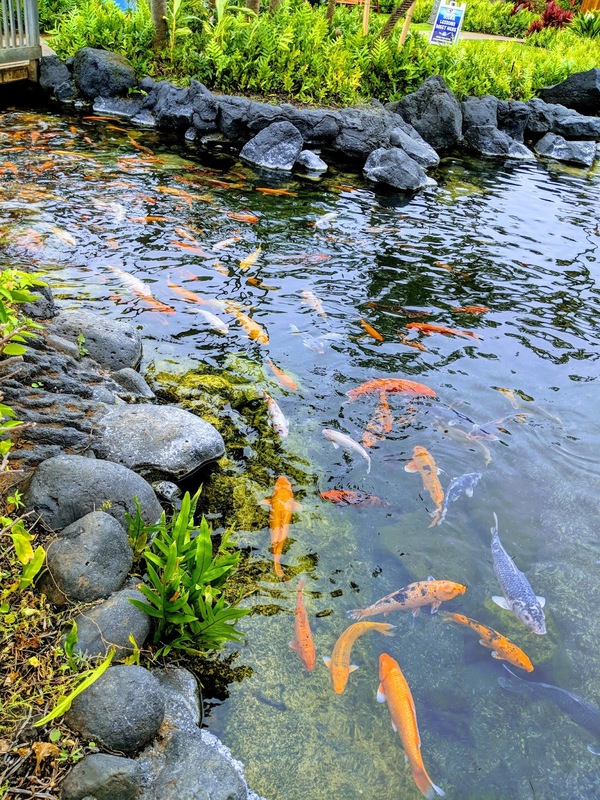 The Camp Hyatt kids club offers activities from video games to board games, but also outdoor activities like koi fish feeding, making leis and programs to teach kids about Hawaiian culture. 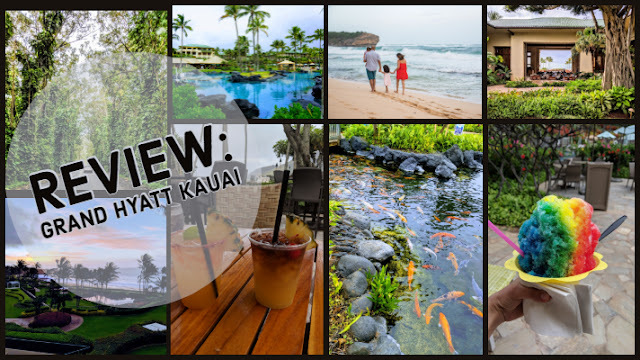 The Grand Hyatt Kauai has one of the best lounges I've experienced and offers access to breakfast, snacks, drinks and evening hors d'oeuvres. I'm a big fan of having club access when traveling with small kids and having club access here was amazing. The Grant Hyatt Kauai has 604 rooms and suites, all of which have a private balcony or lanai, with mountain, garden or ocean views. 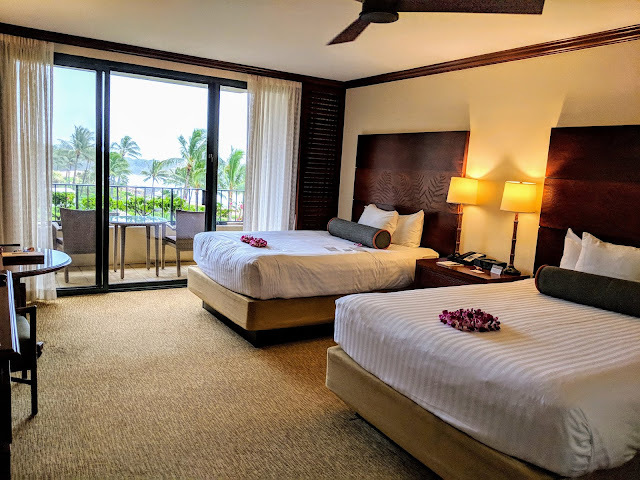 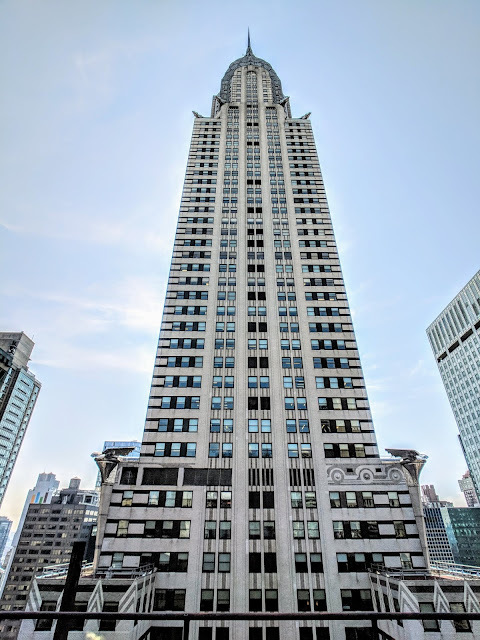 Even the basic rooms are somewhat extravagant, starting at 500 square feet and feature warm beige walls with dark wood crown molding and gorgeous carved wood headboards along with luxurious marble baths. 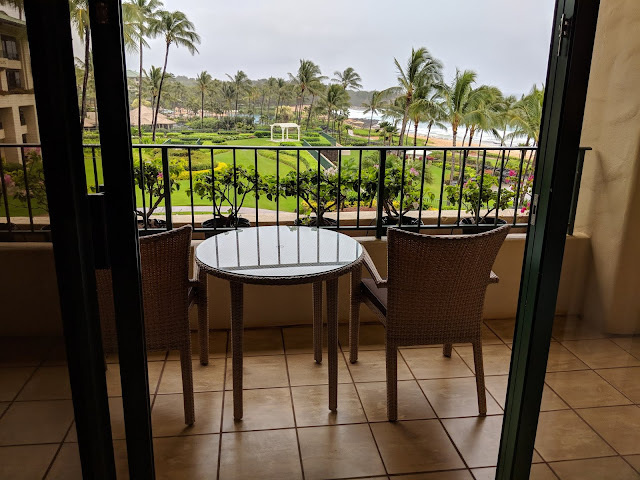 For our stay here, we were in a two Queen Bed Ocean View Room with Grand Club access. Overall, our stay here was amazing! The Grand Hyatt Kauai is, in my opinion, one of the best resorts in all of Hawaii and the service here was top-notch. 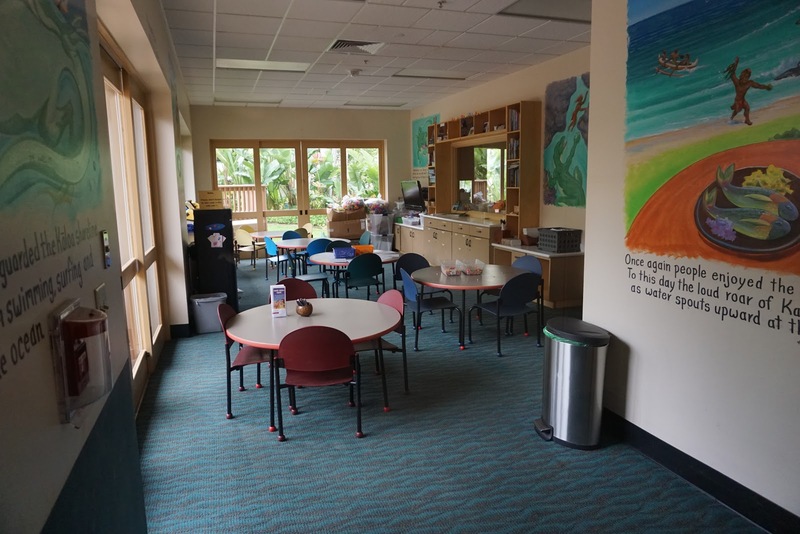 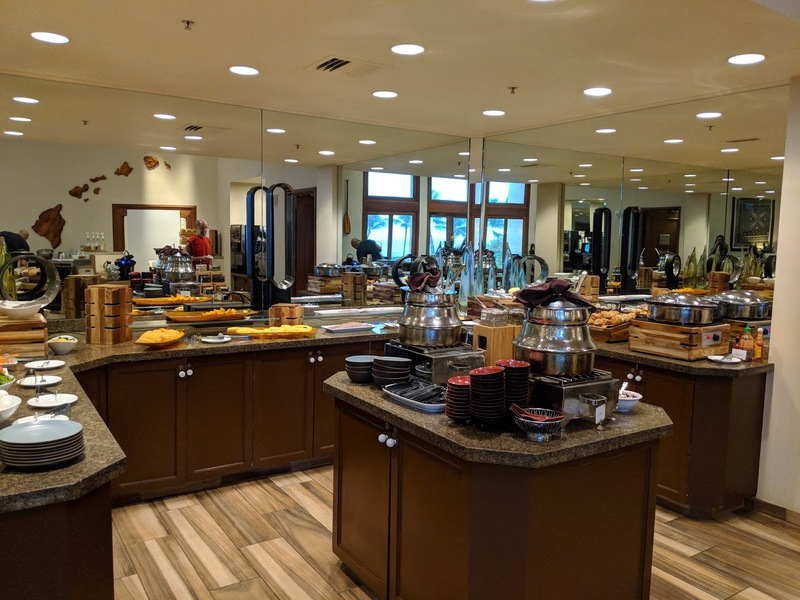 We enjoyed club lounge access, the many activities offered here, the pool/lagoon and had an amazing birthday dinner at Tidepools. 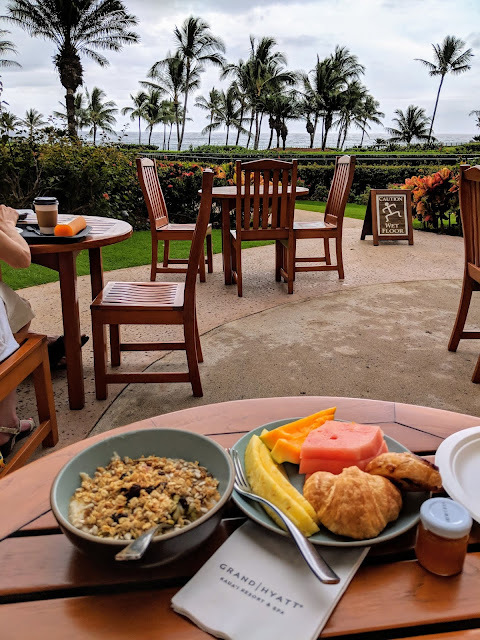 We had club lounge access, which made getting breakfast easy when traveling with small kids and being able to enjoy your meal out on the patio overlooking the ocean was very memorable. 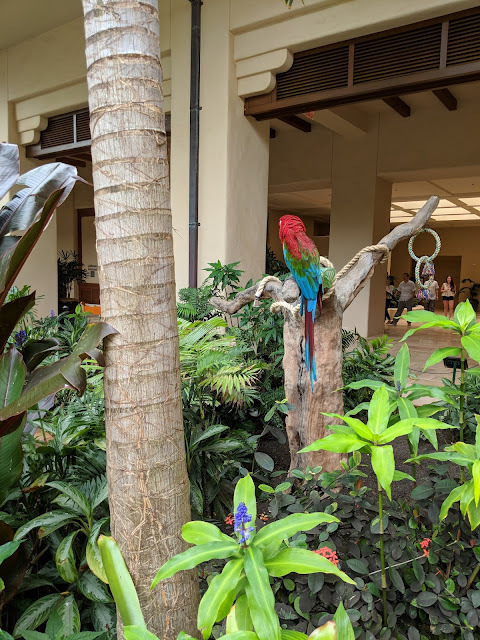 The grounds of the resort are a joy to walk through and all of the exotic birds and koi fish feeding opportunities were a big hit with my family. Lastly, a birthday dinner at Table 42 at Tidepools made for an unforgettable meal, as we had our own private area in the restaurant.